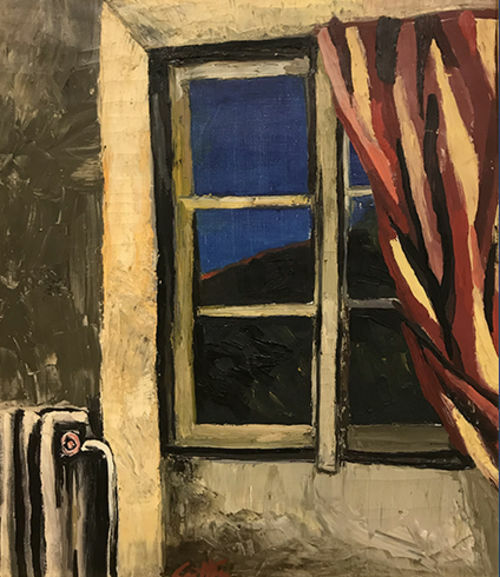 Comunicato Stampa: The Andrea Ingenito Contemporary Art Gallery is pleased to announce the “Renato Guttuso. Sud e Passione” exhibition at the Naples Gallery, from November 29th to 12th January 2019. The painter – born in Bagheria in 1911 and died in Rome in 1987 – was an active man on several fronts from the artistic to the political. These aspects of his life they always walked hand in hand, and were a constant throughout his career; the technical and stylistic influences, on the contrary, were different: from the references of the early youth to Picasso and Courbet up to works of mature age where color becomes more full and vibrant in the manner of Van Gogh (Finestra con tenda rossa – 1960). For the occasion, were selected about twenty works – many of them coming from the artist’s archive – which summarize its course from the 1930s (Bosco silano con mucca – 1936) in the late 80s (Medusa – 1985); they will also exhibit, both oils and chines where the master is proof of his graphic skills. The thematic variety is equally rich: in fact, both work of the polically engaged Guttuso and the fascinating female portraits (such as Volto di donna), nudes and landscapes (Muraglia Cinese) as well as literary quotations with a sample of the series Dantesca (“from Dante: Inferno, canto X” (Guido Cavalcanti: Mio figlio ov’è e perchénon è teco? – 1959). Because as he himself states: “A work of art is always the sum of the pleasures and pains of the man who created it. I mean that it is not necessary for a painter to be of one party or another, or to make a war, or to make a revolution, but it is necessary for him to act, in painting, how he does a war or a revolution “. (Renato Guttuso).